First introduced in 2011, DAAs such as sofosbuvir (Sovaldi) and ledipasvir (which is combined with sofosbuvir in Harvoni) have proven to be remarkably successful in the battle against HCV infection, with cure rates exceeding 95 percent. In developed countries, treatment with DAAs is very expensive — reaching nearly $65,000 in the U.S. — although it meets standards for cost effectiveness. In those countries the advent of these drugs has drastically changed the landscape of HCV infection. But other countries have lagged behind in their use. 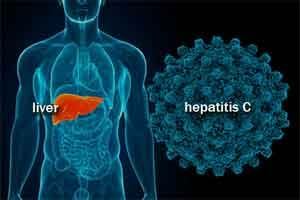 The research team — including investigators from Sanjay Gandhi Postgraduate Institute of Medical Sciences in Lucknow, India, and the World Health Organization — used a mathematical model to compare the outcomes of DAA treatment with those of no DAA treatment based on profiles of 30 hypothetical patients with characteristics typical of Indian patients with HCV infection. Factors incorporated into the model included the natural history of HCV disease, the costs of DAA administration, the costs of treating the adverse outcomes of HCV disease, and quality of life of individuals infected with HCV. The model indicated that, compared with no DAA treatment, use of the generic drugs in HCV-infected Indian patients would increase life expectancy by more than eight years while reducing lifetime health care costs by more than $1,300 per person. Payback for the upfront costs of DAA drugs would be achieved in an overall average of less than 10 years — under 5 years for patients at advanced stages of HCV disease and almost 12 years if treatment begins at earlier stages. Even though there was wide variation in the factors — such as patient age, disease stage, and viral genotype — input to the model, results always indicated that generic DAA treatment reduced lifetime costs.